Allen ‘Crazy Al’ R. Anderson, age 71, of Phillips, passed away Friday, April 20, 2018, at Westfield Quality Care. Funeral Services will be held at 2:00 P.M., Saturday, April 28th at the Phillips Memorial Hall, 501 3rd Street, Phillips, NE. Monte Yoder will officiate. Interment will be in the Phillips Cemetery. Visitation will be one hour prior to the service on Saturday. Memorials may be made to the family. Higby-McQuiston Mortuary in Aurora is in charge of arrangements. Condolences may be e-mailed to the family through the mortuary website at www.higbymortuary.com. 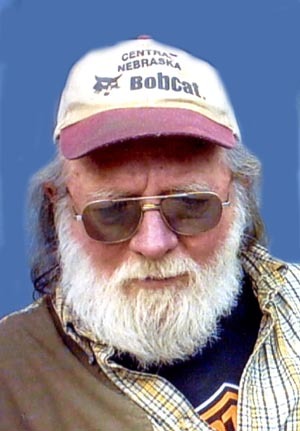 Allen Ray Anderson, the son of A. L. and Lucy Mae (Clopton) Anderson, was born in Ainsworth, Nebraska on April 11, 1947 and passed away in Aurora, Nebraska on April 20, 2018, at the age of 71. Allen grew up in the Bassett area, where he attended rural school through the 8th grade. He graduated from Rock County High School at Bassett. Allen served in the U.S. Army from February 1969 and was honorable discharged in December 1971. He continued to serve in the Reserves until 1976. Allen was a member of the Aurora American Legion Post #42. He loved old cars and especially 57 Chevy’s. Those who remain to cherish his memory are his wife, Pam of Phillips; daughter, Bridgette (Todd) Holt of Tallahassee, Florida; two grandsons, Ty Holt of Lincoln and Tayden Holt of Tallahassee; sister, Kay (Jim) Litfin of Milaca, Minnesota and many other relatives and friends.